THIS ADVENT SEASON, LET US NOT FORGET OUR BROTHERS AND SISTERS IN NEED. More than 2,000 years ago, the Savior of the world was born with no place to lay his head but a manger. 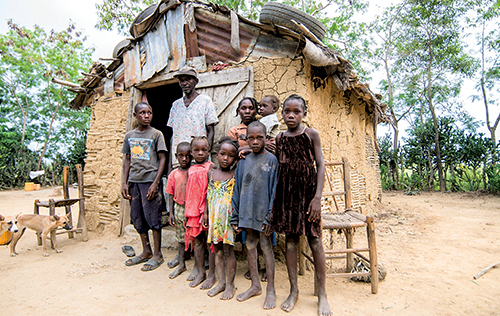 Today, there are thousands of Haitian families who have no place to lay their heads but on dusty dirt floors, with nothing but sticks and mud to protect them from the outside world. 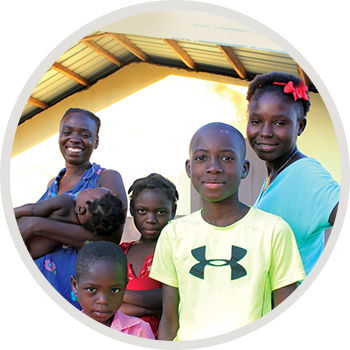 Celebrate the Incarnation of Jesus and glorify Christ’s name by inspiring your parish to open their hearts to a Haitian family in desperate need. While every gift amount is valued and deeply appreciated, it costs about $6,000 to put a family in a sturdy, four-room concrete house with a solid cement foundation and strong galvanized steel roof. These are simple houses, but they are an incredible answer to prayer for the poor Haitian family. Cross Catholic Outreach invites your parish to build homes for vulnerable families this Advent season through the Kobonal Haiti Mission. Founded by Father Glenn Meaux over 25 years ago to serve and evangelize a rural community plagued by poverty and spiritual darkness, the Mission has built hundreds of sturdy homes for desperately poor families. Many of those who have been aided by Fr. Meaux are now members of his all-Haitian staff, entrusted with showing Christ’s mercy to their neighbors. Proceeds from this campaign will be used to cover any expenditures for (this project) incurred through June 30, 2019, the close of our ministry’s new fiscal year. In the event that more funds are raised than needed to fully fund the project, the excess funds, if any, will be used to meet the most urgent needs of the ministry.